Church of the Servant’s Lessons & Carols service is always a special evening. The format is simple: scripture and song. But somehow the combination is profound. We hear scriptures of waiting and fulfillment, sing cherished carols of the season, and experience the variety of voices that make up our congregation. It is truly a wonder-filled service. 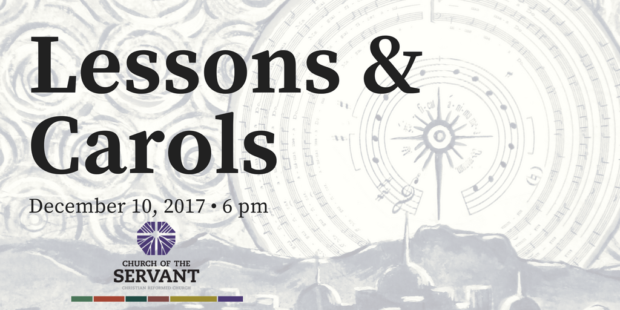 Join us December 10 at 6 pm for this year’s Lessons and Carols Service.